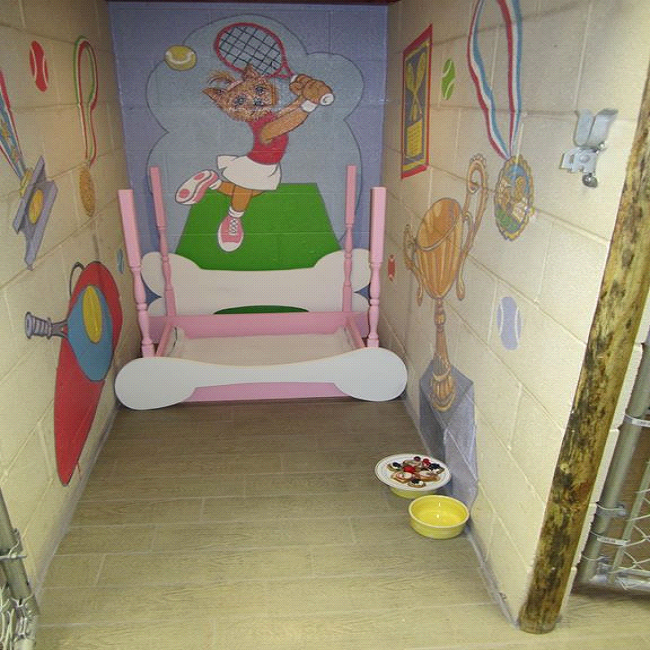 Camp Safari Boarding Kennel is a temperature controlled indoor kennel with outdoor runs. 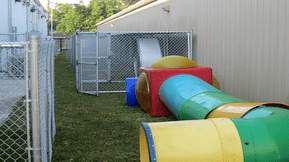 Every dog is allowed outside play areas and runs to do their business when the weather allows. 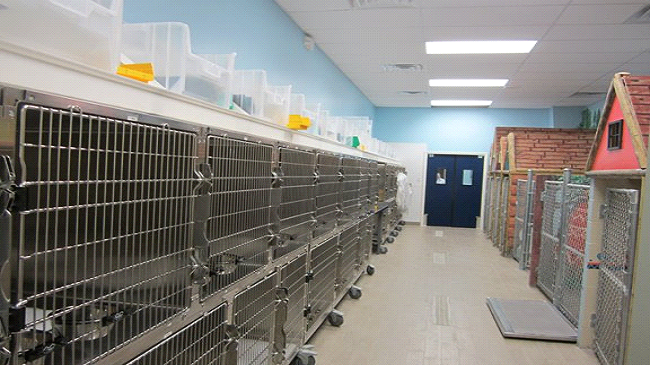 Safari has state of the art air circulation and cleaning facilities designed to reduce stress and disease in boarded pets. Spacious runs and double runs are available depending on your pet family needs. Each run has a separate theme designed by local artists, from the casino gambler to the tennis player or even fishing or hunting. 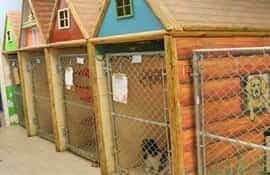 Every pet has a padded pet bed elevated off the floor for comfort and hygiene. In addition, we have Sunday pick up and drop off for your family convenience. 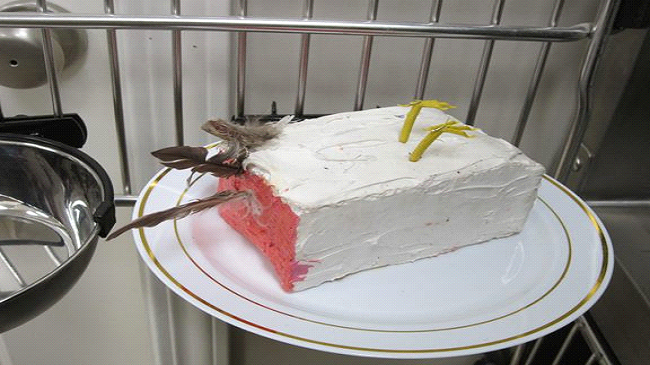 Our offices open at 12:00 noon on Sunday. Your pet will return home bright and refreshed from staying at Camp Safari. 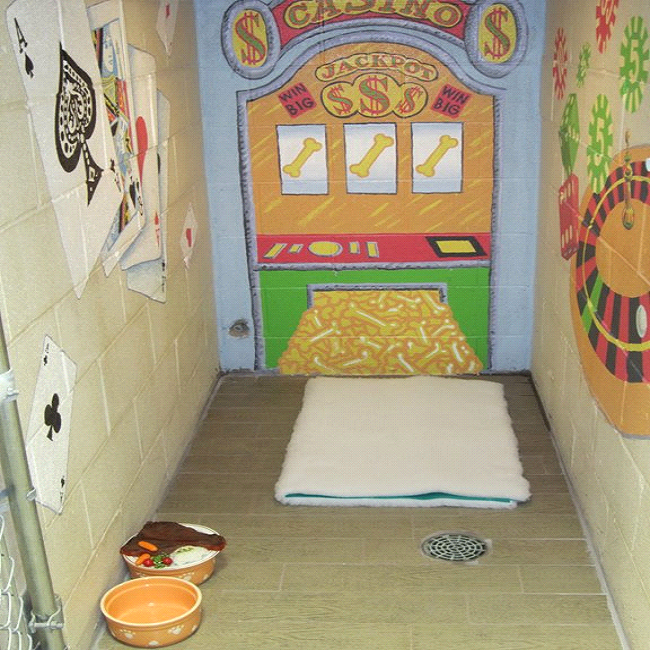 We also offer separate cat boarding as well, in a custom decorated quiet room with access to our unique play area for cats only. 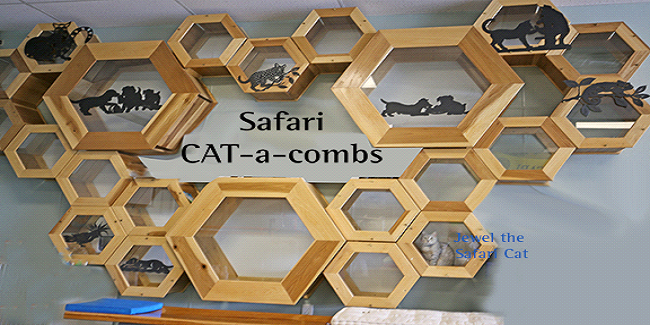 This CAT-a-comb is a wood maze of interconnecting spaces designed to captivate your kitty as they play for hours. 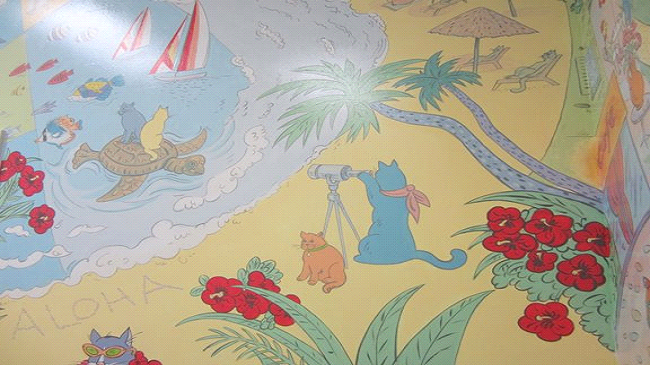 The cat cubby room is decorated with images of cats on vacation to London, Paris, Hawaii and even Moscow. 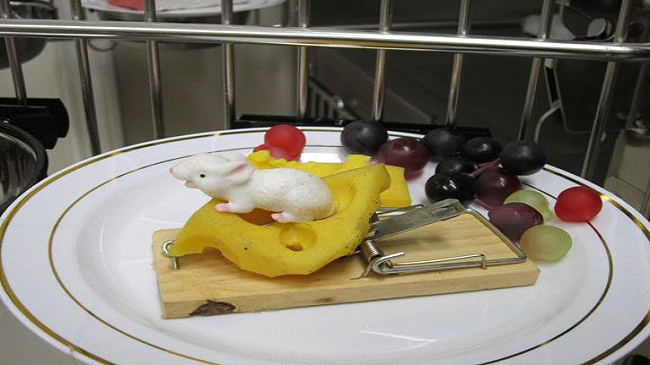 While you are away your cats will relish the FAUX dining on canary cake and mouse trap pie.